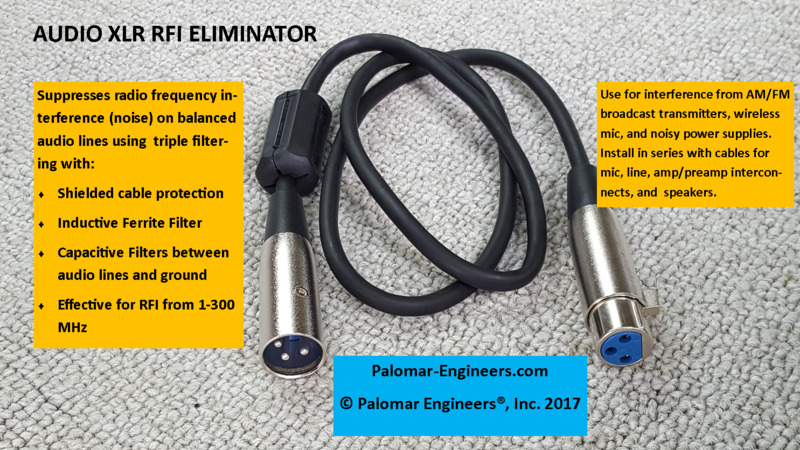 Use for interference from AM/FM broadcast transmitters, wireless mic, and noisy power supplies. Install in series with cables for mic, line, amp/preamp interconnects, and speakers. Standard cable length is 3 feet.